Flawlessly matte. Sun-protected & hydrated. Velvety, matte-finish primer gives skin a kiss of tint that erases all redness, blurs imperfections and evens tone just enough to skip the foundation or beautifully prep skin for flawless makeup application. 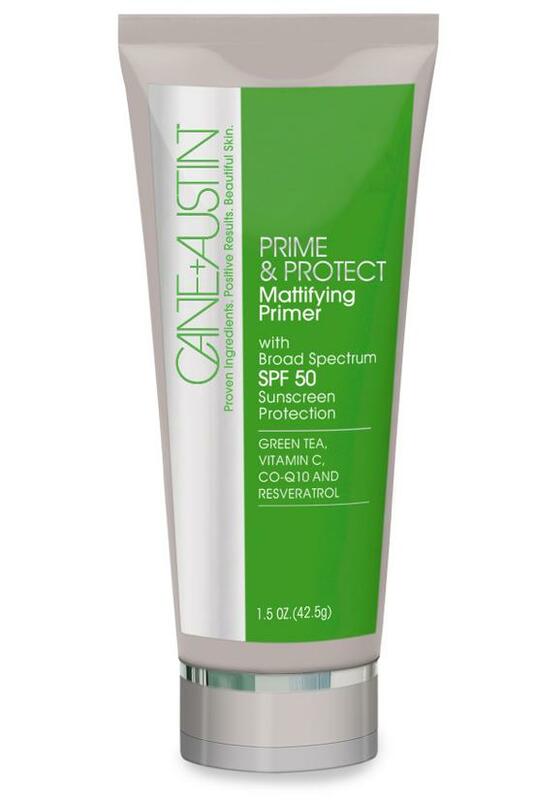 Keeps oil and moisture perfectly in balance all day long. Active Ingredient: Zinc Oxide 16.2% Ingredients: Ascorbic Acid, Biotin, Camellia Sinensis (Green Tea) Polyphenols, Centella Asiatica Extract, Ceramide 2, Cetyl PEG/PPG 10/1 Dimethicone, Cyclomethicone, Dimethicone Crosspolymer, Emblica Officinalis Fruit Extract, Glyceryl Isostearate, Iron Oxides, Lauryl PEG/PPG-18/18 Methicone, Leuconostoc/Radish Root Ferment Filtrate, Methyl Trimethicone, Neopentyl Glycol Diheptanoate, PEG-8 Methyl Triethoxysilane, Phospholipids, Polyhydroxystearic Acid, Purified Water, Resveratrol, Silica, Silica Dimethyl Silylate, Titanium Dioxide, Tocopheryl Acetate, Ubiquinone (Coenzyme Q-10). Dr. Craig Austin, dermatologist to Manhattan’s elite, created CANE + AUSTIN to bring professional-grade results into his patients’ homes without the professional price tag. As a board-certified dermatologist and dermatopathologist, Dr. Austin uniquely understands the science of skin health on a cellular level. His transformative regimen gently protects and reinvents skin for youthful, flawless beauty.